Hologram makers, render 3D projections whether it’s inside a glass tube or suspended in thin air. 3D multi dimensional images enable users to interact with content in a totally unique way from a 360-degree seeing point. The way to the operation of holographic projectors is the 3D image. A holographic projector utilizes part illuminations reflected together from multiple viewing angles of the subject in a combined form to reproduce a picture of the subject in a 3D state. 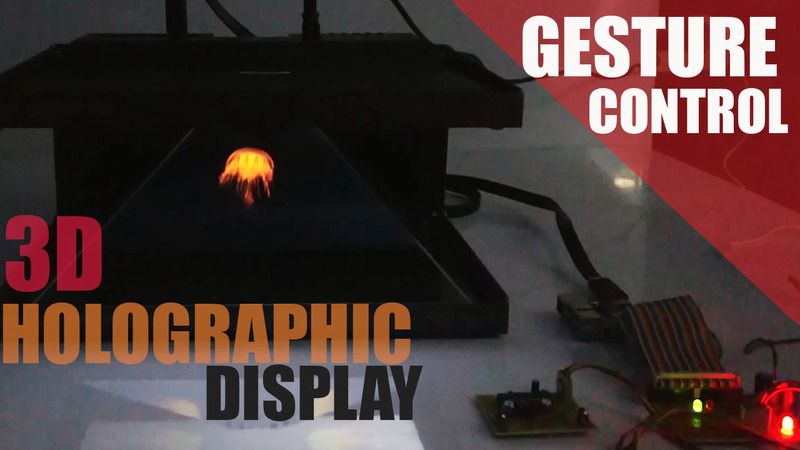 Our system produces holographic projections created through anticipated picture by refraction through the interference design, losing barely any light, and working with substantially more productivity. 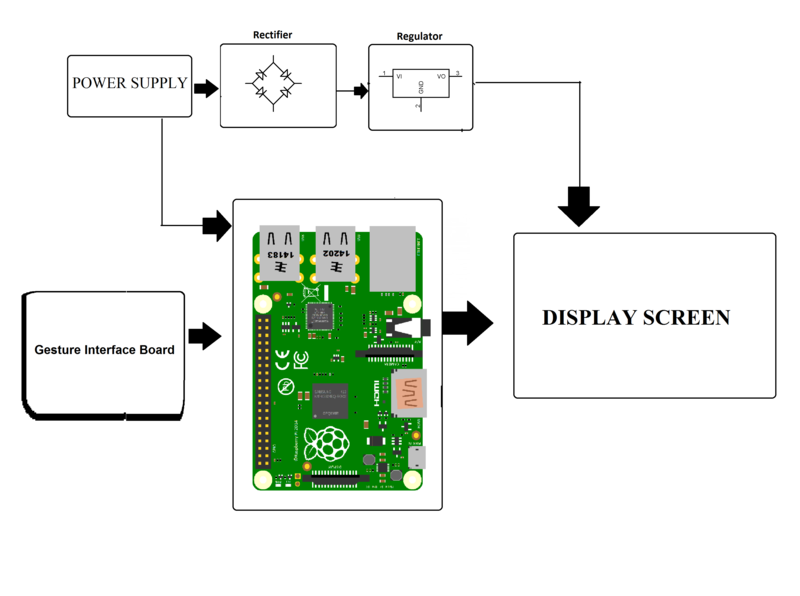 Our system uses a raspberry pi controller based system to achieve such holographic projections. We then use a display to provide part live videos to the projector setup in order to get the desired 3d hologram. Our frame is constructed to project image in 3d state using a clear pyramid frame in an accurately designed 3d reflective state. 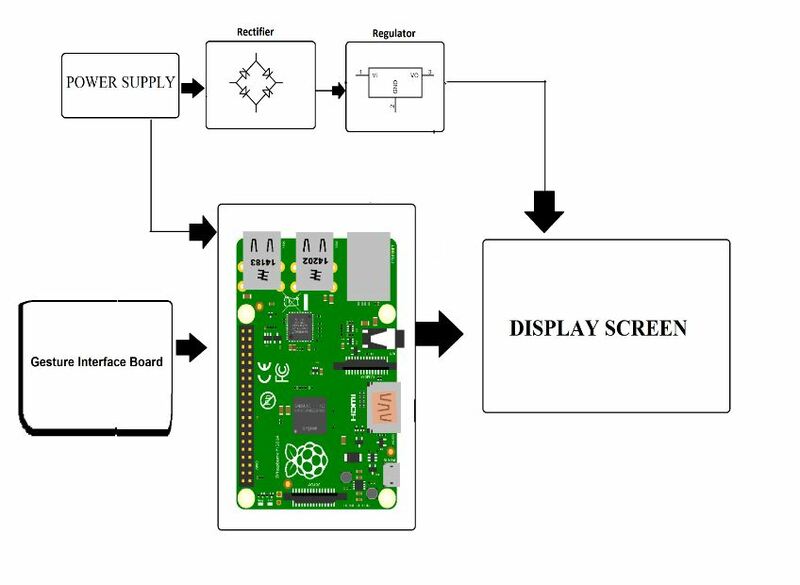 Now we use a gesture sensing board for raspberry pi to detect the gestures by user and then use It to forward or rewind to previous projections without even touching the panel. 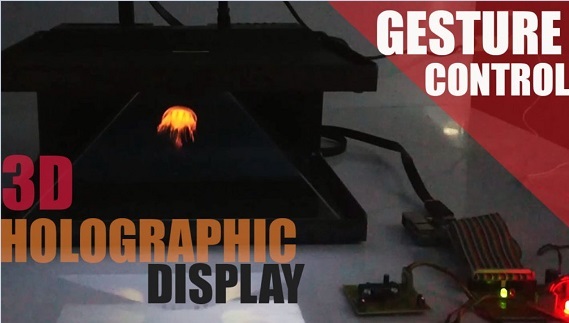 Thus we successfully an efficiently designed 3D holographic display system with gesture interface controller.